Though most commonly known as the site of Disney World, Orlando’s importance extends far beyond tourism. The town is a hub for some of Florida’s most advanced industries, including aerospace manufacturing and self-driving car development. These and other businesses not only provide wealth to the more than 2 million people in the area, but help the entire country become safer, more efficient, and more technologically sophisticated. ExpeditedFreight.com delivers all the supplies Orlando needs to keep up these essential activities, so that they city can continue to spread its many advances across the United States. All of Orlando’s activities rely on efficient logistics. Take the city’s participation in self-driving car development efforts. In order to produce a truly autonomous vehicle, researchers and manufacturers in Florida have to access a wide range of rare and delicate car and computer parts, which frequently need to be delivered from the other side of the country. Without access to these resources, they can’t do any research or construct the cars they’re developing. But they can only get them with the aid of carriers who can deliver quickly across the country without damaging their inventory. Few carriers can promise that level of service. ExpeditedFreight.com is prepared to make that promise. As an expedited delivery company that specializes in serving automotive clients, we have the resources and expertise to deliver any cargo safely and swiftly. 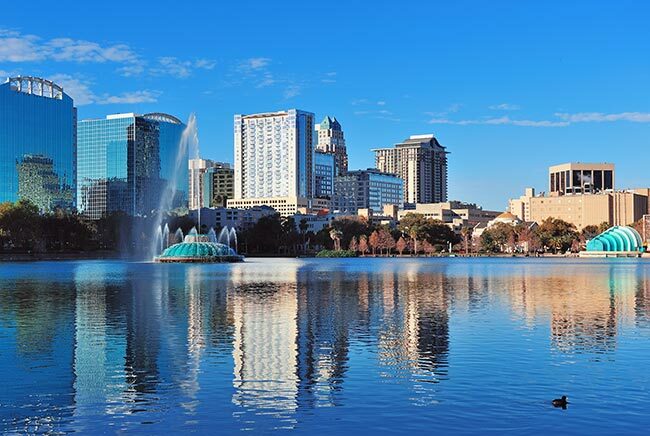 We ship into and out of Orlando, along with other cities in Central Florida such as Kissimmee, Lakeland, Daytona Beach, Ocala, Cocoa, Titusville, and Altamonte Springs. Advanced Equipment - ExpeditedFreight.com takes advantage of the latest and most sophisticated storage equipment. This way, if we’re transporting anything that can’t take turbulence or has to be kept at a particular temperature, we can guarantee that it will stay in good condition along the way. Route Projection - Whether we’re delivering into the Orlando area or shipping out of it, we consider all possible routes that lead to the starting point or destination. We account for the quality of the roads, the likelihood of harsh weather, projected traffic problems, and any other issues that could threaten the safety and punctuality of our delivery. We then choose the route that will have the fewest such problems at the particular time when we’ll be shipping. As a result, we can finish the job well within your deadline and without any inventory damage. Network Navigation - ExpeditedFreight.com has a coverage and vehicle network extending throughout the US and Canada. This lets us load goods that are headed for Orlando in no more than two hours. It also means that when we ship out of Orlando, we can have personnel ready to go at the destination. Driver Dedication - We recruit the most skilled, committed drivers, and make sure they operate in teams of two so they have a chance to rest en route. This ensures that they do their jobs productively and safely. 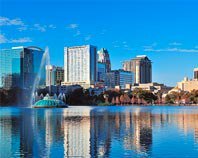 To learn more about shipping in Orlando and across the country, contact ExpeditedFreight.com at (407) 287-5577.